Total of 170 high quality, clear photopolymer stamps! A must-have for holiday cards! 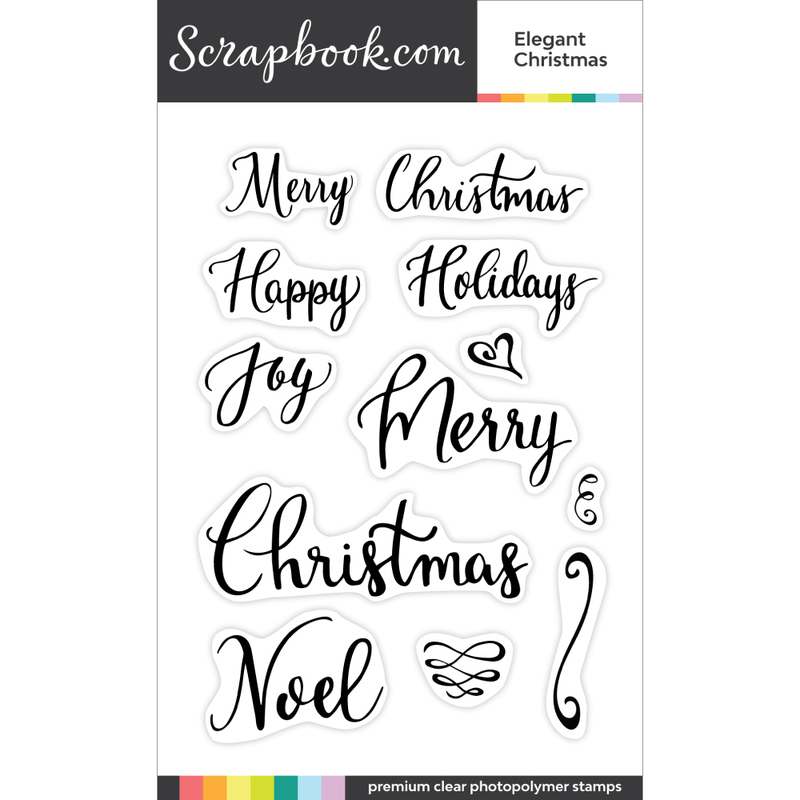 This is one of the best holiday sentiment stamp sets I have come across. 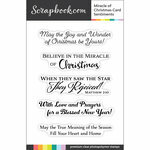 There are so many different sayings and fonts that you can use them on just about any Christmas card. I will be reaching for this one all the time! The images are high quality and stamp beautifully. This review was written about a related product. There are so many wonderful fonts with this Holiday set. 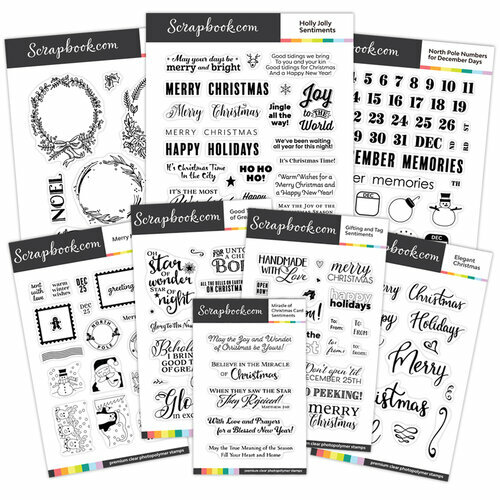 That you can make several cards and scrapbook layouts with one set. Love it! These Exclusive Clear Acrylic Designer Stamps stamp are so beautiful! 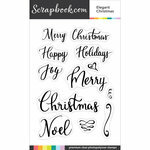 They are high quality photopolymer stamps with amazing sentiments! 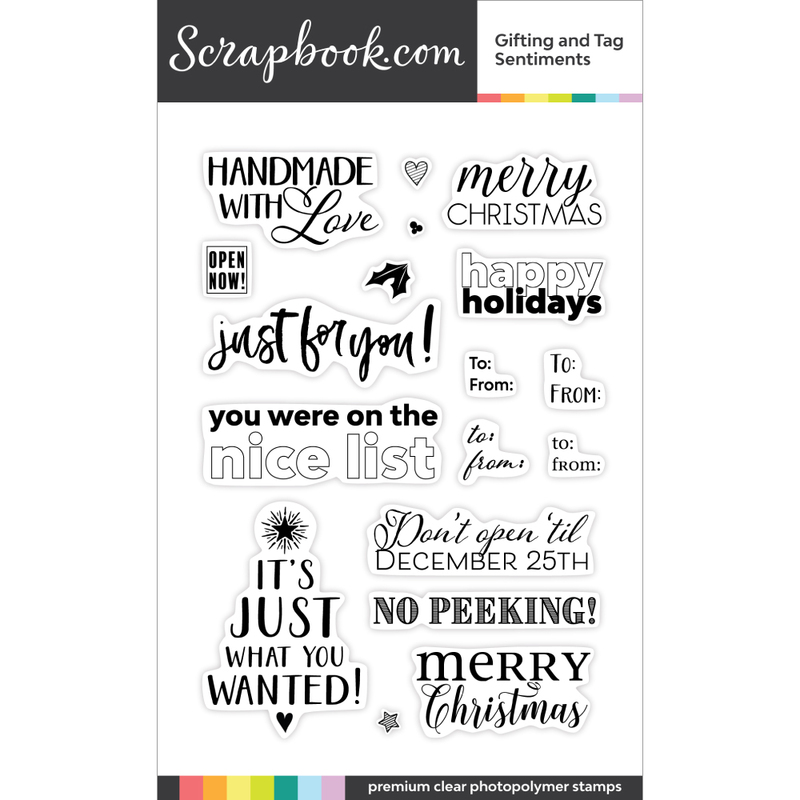 This sentiment stamp set is a Big must have for the holiday crafting! 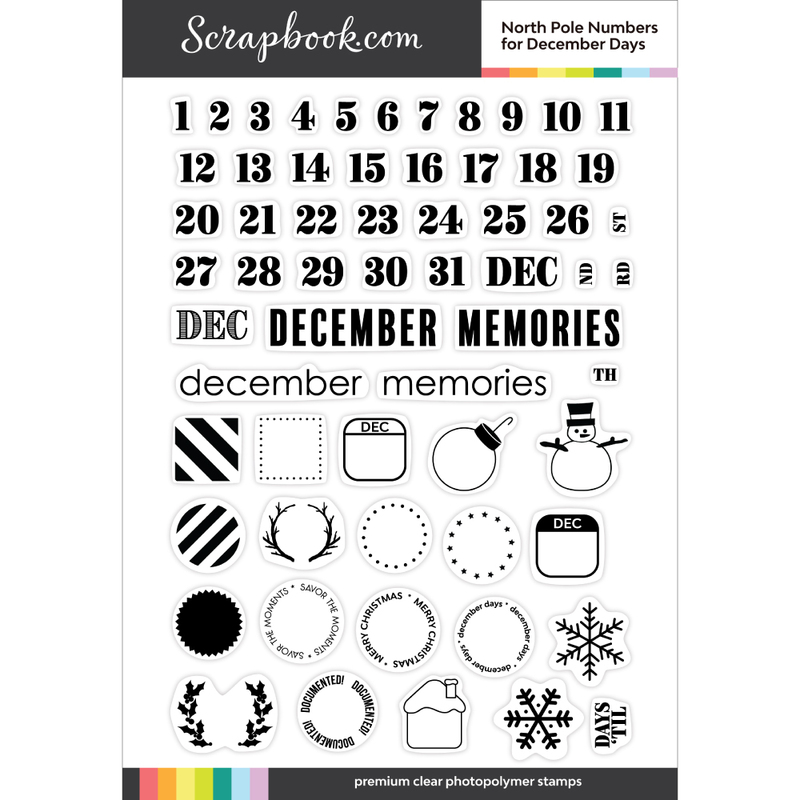 These stamps from scrapbook.com are fantastic and such good quality. I highly recommend them. 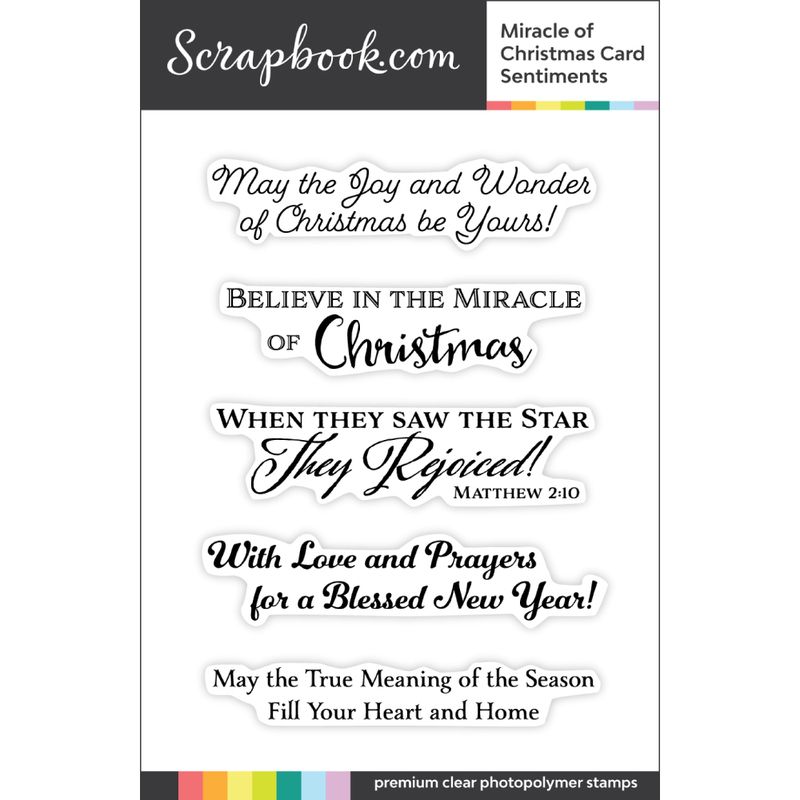 The sentiments in this stamp set are so beautiful and just right for the holiday season. great phrases for inside your cards as well as outside - so much packed into this one set! 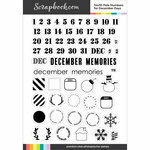 This stamp set has various types of sentiments. Some are cute and some, serious and the fonts used are different sizes. 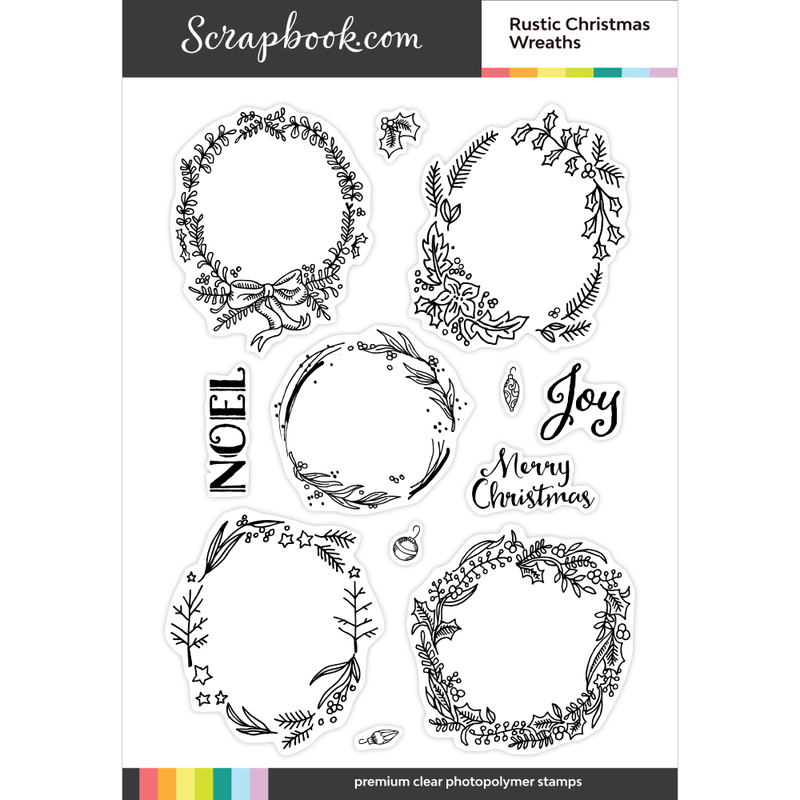 I have bought a lot of sentiment Christmas stamps this year and this set is a very nice one. 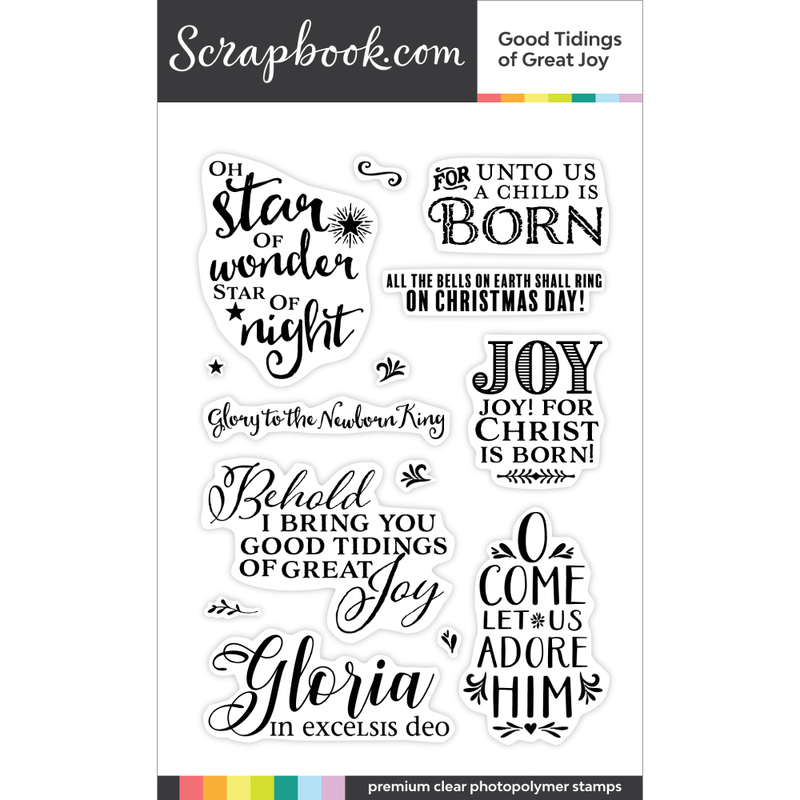 I was looking for a stamp that said " Have Yourself a Merry Little Christmas"
This set has it and it's a small font, just the way I pictured it in my mind! 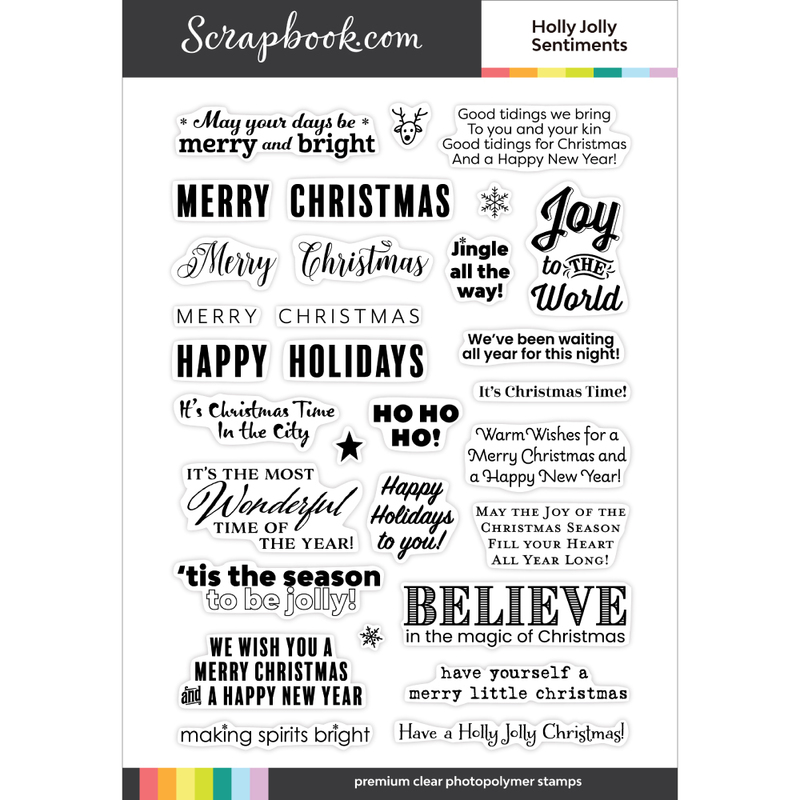 This has quickly become my new favorite holiday sentiment stamp set! Love the mix of styles and sayings!!! I love this set! The sentiments are simple. I like all the different possibilities with this set! This is really a great variety of sentiments to use on Christmas cards.